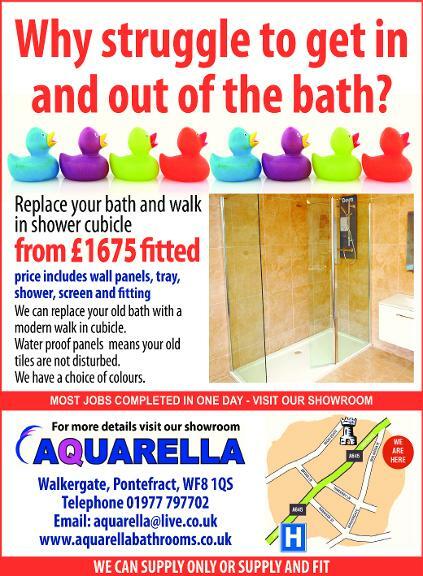 Based in Pontefract West Yorkshire, we are specilaists in the bathroom trade. We know that planning a new bathroom can be a daunting task due to the vast array of products available, but we at Aquarella excel at removing the stress by using our 35 years of expertise to help you to find the right suite to match your budget, your lifestyle and your taste. Our showroom has a large selection of bathroom designs, ranging from the more traditional styling to the more modern looks. We offer a warm welcome to all our customers with a no hassle approach. Ample free parking is available just outside our front door. We supply bathroom products from top brands such as, Ideal Standard, Twyford, Tavistock, Roca, Deva plus many more. We also serve all surrounding areas of Pontefract including Castleford, Normanton, Leeds, Wakefield, Knottingley, Hemsworth. I am writing to tell you how thrilled I am with my new bathroom. All the work carried out by Dave & Sam was to a high standard & in the time stated. Brian the electrician turned up on time and did a very good job. I was particularly impressed by the way Dave and Sam tidied up each day, even Andy who collected the rubbish asked for a vacuum cleaner. When I can afford a new kitchen I will definitely come to you. I would highly recommend Aquarella. We have completed hundreds of bathrooms and are proud to show them off. Have a look through our galleries to see the quality and range of designs we supply and install. Click here to view our completed bathroom projects..
At Aquarella we also specialize in bathrooms for those less abled. 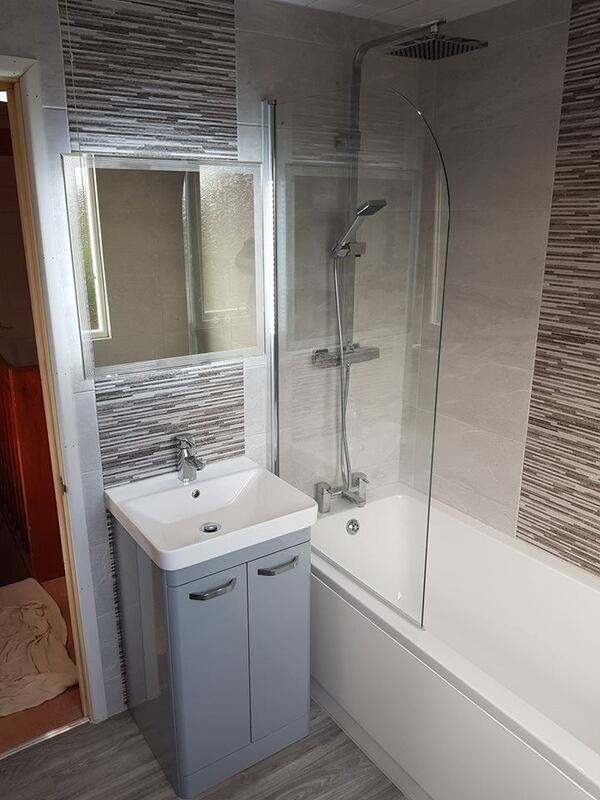 Whether it be a disability or if bathing has become a bit of a chore, let us make things easier by tailoring your bathroom to your specific needs. Our services include level access wetrooms, walk in showers, installation of grab rails & high rise W.C's, shower seats and non slip floor surfaces. Also you may be eligible to a 20% discount off your bathroom as part of a government scheme. Come down and see us for inspiration and friendly advice.